Wow. I haven't read these but you've got my interest. Same here. I'm going to have to add this series to my to-read list. I really want to read this but I haven't read the first one yet. 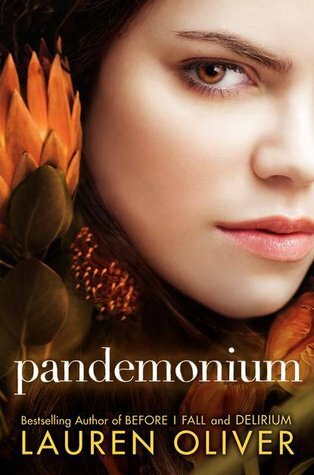 hmmmm, see and up until this moment I haven't been excited for Pandemonium! hahaha, but now you're selling me. I'm not sure about stone soup though, there's an awful lot of dogs in my neighborhood- I'm guessing there would pee in there somewhere. Hmm...stone soup. Not so sure about it, but if it is a question of survival or not then it would be pretty welcome I am sure. Oh, this review pains me. Because now I'm so much more anxious to read this sequel. I like the idea that this one is going to feature a lot change and differences. And I totally agree with you about contemporary texts being great tools for learning similar messages as the classics. My English teacher is working to incorporate this concept.